Hughes has concocted some rubbish in his time but that’s up there with his very best. Jo was an unmitigated disaster. He scored just three goals in 18 appearances for the club – two of which came against Omonia Nicosia in a UEFA Cup match – before being loaned to Everton seven months after signing. Few players have looked quite so out of place in a Blue shirt. He was tall, yet lacked any kind of physical presence; he was one of the least skilful Brazilians to grace the Premiership; and, for a young player, he had very little appetite to prove himself. He was dreadfully poor during his time in Manchester. He also had disciplinary problems. He missed training for what he described as tonsillitis, yet was pictured on a night out in one of Manchester’s clubs that evening. Hughes fined him and question marks over his professionalism never went away. Indeed, David Moyes cut short his second loan spell at Everton because of Jo’s decision to return to Brazil without permission. After another unsuccessful loan move to Galatasaray, Jo returned to City and made a handful of appearances, scoring against Salzburg, West Brom and Juventus, before leaving the club permanently to join Internacional in the summer of 2011. He scored six goals in a City shirt. When your team signs a Brazilian you’ve never seen play, there’s always a part of you that gets excited. Memories of Cafu, Ronaldo, Romario and Juninho come flooding back – style and brilliance is surely on its way. Jo was proof that not all Brazilians are bone fide geniuses. Things have picked up for him now. He’s playing alongside Ronaldinho for Atletico Mineiro, helping them win the Copa Libertadores in 2013. He even scored a couple for Brazil at this summer’s entertaining Confederations Cup. He now has five goals in eight international appearances, which is far from a shabby record. Maybe – just maybe – there is a player there, and the time just wasn’t right for him to try his hand at the Premier League. 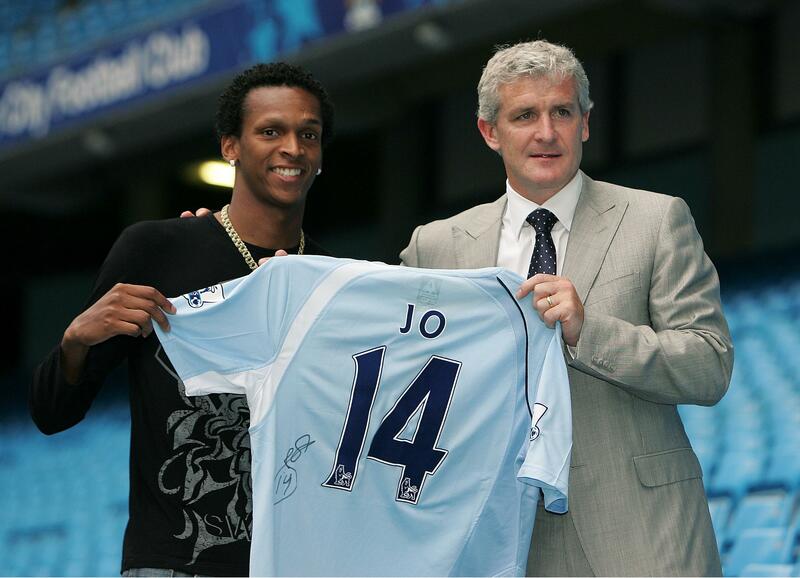 City fans, though, are still desperately trying to forget that Jo ever played for the club. This entry was posted in The Samba Series and tagged jo, manchester city, mark hughes, samba series by The Samba Series. Bookmark the permalink. I nearly fell out of my armchair when I saw João Alves de Assis Silva (Jo to his mates) playing for Brazil in the confederations cup this year. Didn’t he once play for CSK?, I think he scored nearly 50 goals for them. Then Hughes waved his magic wand. Signed him to work in tandem with Santa Cruz. Nuff said. £35M down the pan on those two, curious eh?